Why would you need a Team Drive if you can share folders? What does it do for us? Well, here you go. Have you ever been part of a committee and the person that runs the group has shared a folder with you, then leaves to take another job. Who has access? Who owns the materials? 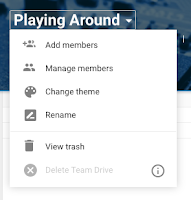 A Team Drive will allow you to work with a drive that others can manage. 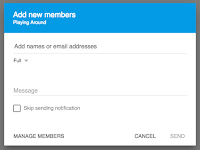 This could be quite beneficial to groups and PLNs. Here is what a Team Drive Looks like. 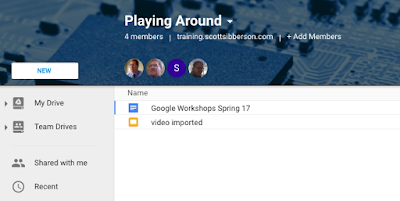 I created a Team Drive called Playing Around and shared it with my other GAFE account and a few friends (outside the domain). 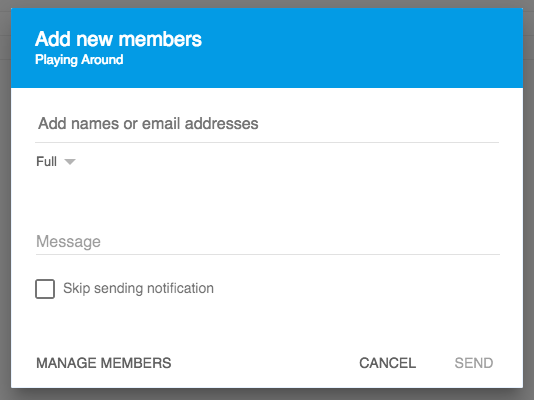 You can invite other users. Notice the different choices you can give your colleagues and friends. 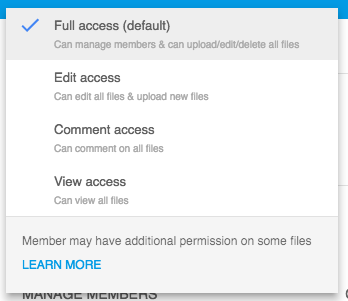 Full access seems to give them "joint ownership" permissions. They can even delete files from the folder. This is pretty powerful. I have just started to play around with the drive. I feel it will make sharing with your groups, classes, PLNs a little easier and more reliable for long-term projects. 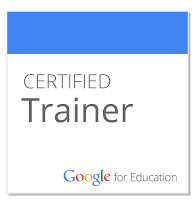 Look for it soon in your Google Apps accounts. 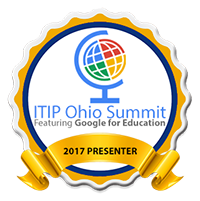 Here are a few highlights of what is new with Google Apps for Education (g Suite).